High Performing Apricot Lane Boutique For Sale. 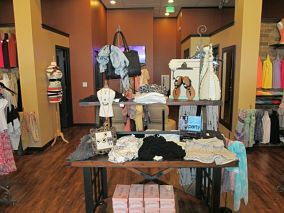 Apricot Lane Boutique Longmont, enjoys a broad and healthy retail environment in most categories of retail. With a market size of nearly 100,000 people, Longmont has been able to provide a stable environment for not only convenience and neighborhood retail but also mid-range and specialty retailers. The women’s specialty clothing market is under retailed in this community, which is to the benefit of the Apricot Lane Boutique store. This is a company managed location which requires local ownership to take it to the next level! 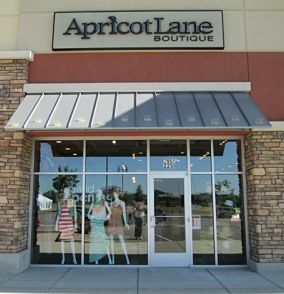 Apricot Lane Boutique is the leading clothing boutique franchise to offer branded fashion apparel, jewelry, handbags, accessories, and gifts in the latest styles and current trends that customers are looking for. Apricot Lane is unique in its mission to bring the hottest new styles and trends to shelves as soon as they hit the runway. Consumers want the trendiest runway styles the moment they see them on TV, without paying the hefty price tags luxury brands are famous for. That’s where Apricot Lane comes in. We stand apart from the competition in our commitment to empowering our customers and offering them the most cutting-edge styles quickly and affordably. Each of our boutiques and their individual e-commerce sites create a unique adventure and shopping experience that captures the look and vibe of their local area. They feature today’s most sought after styles and must have pieces to embrace anyone’s individual taste from mother to daughter. Offered in limited quantities with new arrivals almost daily, shopping at Apricot Lane is truly an affordable "unique boutique" experience. Every single Apricot Lane Boutique offers unique pieces that are handpicked by our stylists and buyers. 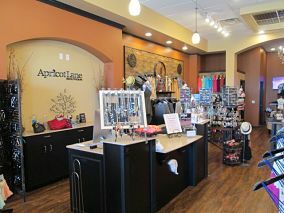 No two customers are alike, and no two Apricot Lane Boutique locations are alike. Each of our clothing boutiques individually chooses on-trend clothing, apparel, and accessories to fit a wide range of styles and preferences. Because each store has a different owner, each store offers a singular shopping experience. The Apricot Lane team is one of a kind. Each member of the franchise team brings their skills and expertise to our business, which in turn helps every franchisee build and grow their businesses. In our home office, we have marketing experts and merchandising pros, fashion buyers and graphic designers, administrative assistants and franchising managers. To find out more about this Apricot Lane Boutique franchise for Sale please fill in the form below and submit.